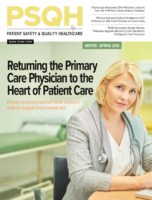 This article appears in the October issue of Patient Safety Monitor Journal. In 2016, 4.1% of the U.S. population identified as being lesbian, gay, bisexual, or transgender, and competency in the special needs of LGBTQ patients is increasingly expected of providers. While “there is not a [federal] legislative mandate that addresses this specifically, many providers are being sued because of a lack of cultural competence and appropriateness,” says Venessa Marie Perry, president/CEO of Health Resource Solutions LLC in Washington, D.C. Some cases, such as Taylor v. Lystila, involving a transgender patient whose provider refused to hive her hormone replacement therapy, have explicitly referenced the Affordable Care Act (ACA). The language of “cultural competency” is well established in HHS sub-departments, says Perry, as shown by tools like the 2012 MLN Matters, “Cultural Competency: A National Health Concern,” and the Office of Minority Health’s “Think Cultural Health” page. “The number of increasing health disparities in minority and disadvantaged communities has indicated that there is a need for providers who understand and are able to relate to the sensitive needs of the population,” she explains. Given this trend, it behooves providers to make sure they’re equipped to provide a welcoming environment to LGBTQ patients. To properly promote cultural competency, try the following four tactics. Explain the difference as one between “treating people how I want to be treated” and “treating people the way they want to be treated,” she suggests. A welcoming environment begins at intake. Think about your answers tot he following questions, says Lillian Rivera, director at The Center for LGBTQ Youth Advocacy and Capacity Building of the Hetrick-Martin Institute in New York City. Margolies’ training film, Vanessa Goes to the Doctor, suggests intake forms that include variant names or pronouns, for example. She also recommends making sure receptionists understand how to address a transgender woman whose legal name is different from her preferred one,f or example. Providers are encouraged to proactively address care concerns of importance to LGBTQ patients. For example, says Rivera, “I would include some information about HIV, specifically with your African-American and Latino gay men”—populations for whom HIV rates are high. “I strongly recommend hiring an individual or organization that has solid history of training healthcare providers” in cultural competency, says Margolies. She recommends exploring the National LGBT Health Education Center of The Fenway Institute, part of Fenway Health in Boston; the Healthcare Equality Index benchmarking tool of the Human Rights Campaign in Washington, D.C.; and her own Cultural Competency Toolkit. Editor’s note: Reporting on this story was provided by Roy Edroso.